Regardless of the shipping amount authorized, AustriAlpin buckles will ship USPS Priority Mail, and you will only be charged a FLAT $8.00 for shipping. Need more? Check out our two pack and save. Click here. I bought this to replace the plastic three point buckle on my bianchi duty belt. This buckle fit perfectly and feels a thousand times more secure than the old plastic one. 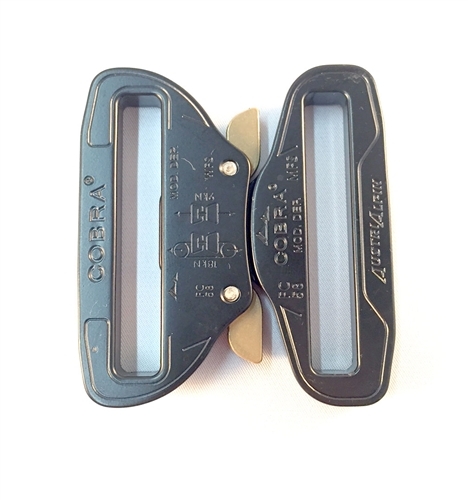 This buckle is easier to correctly function and looks to be a good deal more durable than what it replaced. Highly recommended. Shipped fast and had a hand written thank you letter to boot.